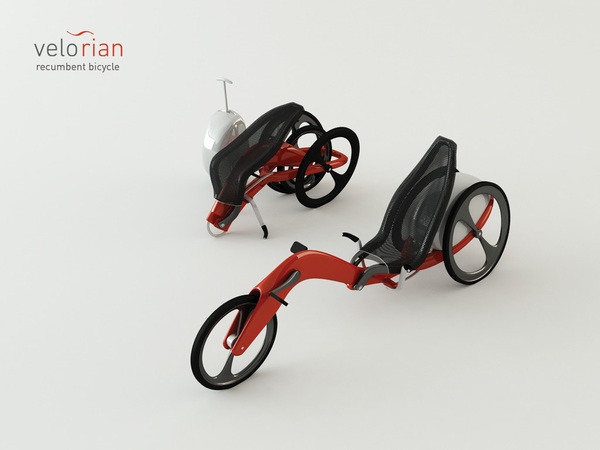 Velorian recumbent trike with folding ability, designed to make it transport easier and for space saving. 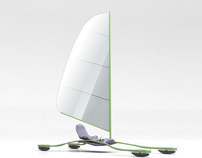 This big, comfortable trike just in few moments can be folded down to 1210 x 530 x 755 mm. 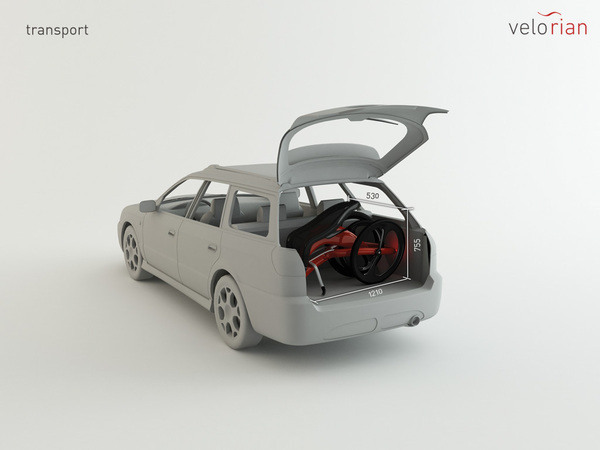 Included bag helps to transport cargo much easier. 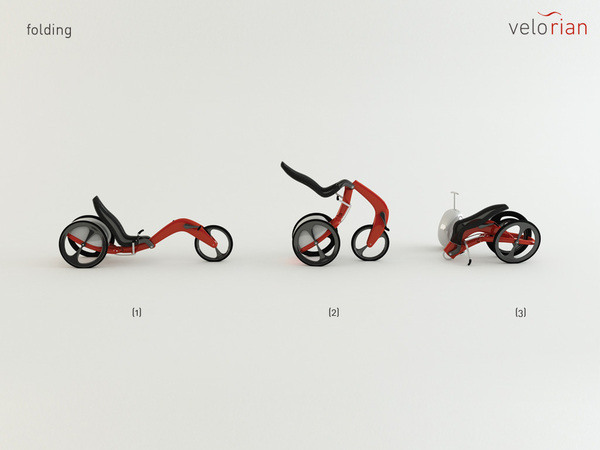 Front wheel driving and back wheels steering makes recumbent highly manoeuvrable. Rear wheels have 10 degrees of camber to increase stability in the corners. 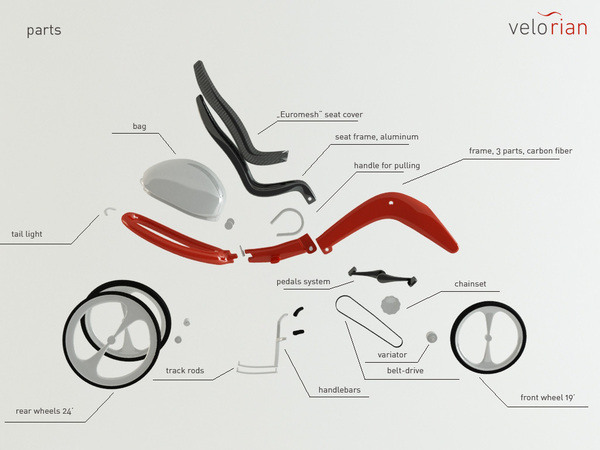 Because of split handlebar and track rods this recumbent steering became simple even for beginners. The seat designed to smooth out or damp shock impulse. 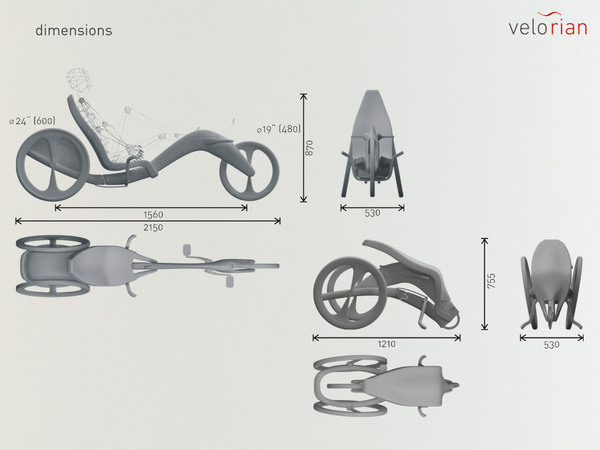 Folding process: unlocking pivot, bend fork between two rear wheels, fold out seat on the top of front frame, lock up. Materials used:carbon fiber, aluminum. 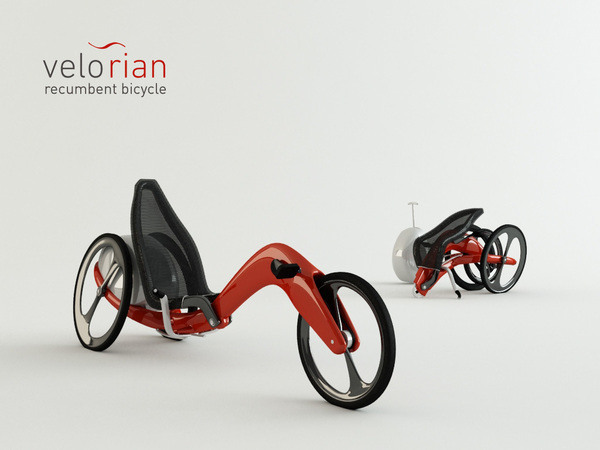 Velorian – recumbent trike with folding ability, designed to make it transport easier and for space saving.